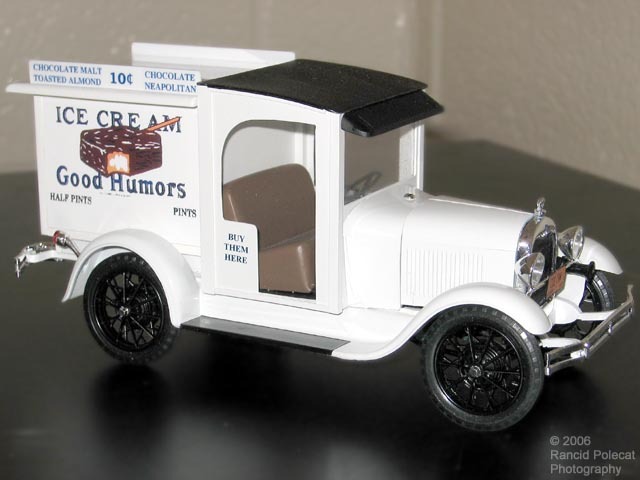 Howard's decision to replicate the leatherette material that was common on auto roofs of the 1920s and 1930s really paid off by by balancing the dark wheels, runnings boards, and grille. This balance prevents the truck from appearing "bottom heavy." He shot a semi-gloss black paint over a base coat of Testors textured interior paint to acheive this effect.